Love-N-Luxxxury is a popular series of videos from Nelson Berry, founder and creator of Subliminal Video Messages. You may be familiar with some of the earlier releases, such as The Intelligent Warrior Videos, or the $5K Per Day videos. 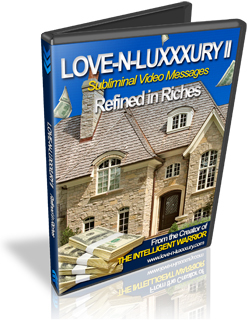 This series is about living a luxurious lifestyle, and loving the finer things in life, and how it feels to attract money, wealth and luxury in the present; to be in the moment with your wealth. It includes a command about winning the lottery. 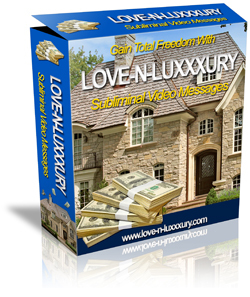 Program yourself for prosperity in just minutes a day! Individual results vary, and depend on a number of factors, but most people begin noticing positive changes in their lives within 30 days. Sooner, and later, has been reported, but almost everyone can "feel something" the first time they watch one of these magnificent videos. Plant the seeds of attraction and manifestation quickly and easily. Transform your life in a few relaxing minutes a day! Effortlessly raise your vibrational level to a more positive frequency, and watch money and the finer things in life start to materialize. Barely see words and phrases flashing at about 30 frames a second, planting the seeds of positivity and abundance deep into your subconscious mind. Hear dynamic, yet serene music, harmoniously blended with the soothing sounds of ocean waves. Don't hear, or barely notice subliminal audio further accelerating the positive programming and manifestation of wealth and luxury into your life. 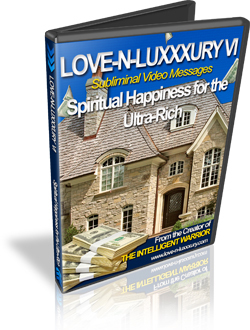 Build wealth consciousness while enjoying a daily "virtual spa" session in front of your PC. Or, convert your video files into *DVD format, burn to disc, and watch on your television! *Not to be confused with DVD-Rom; additional software may be required. After your payment is confirmed, through PayPal or Google Checkout, you'll receive an email with a link to your download page. The files are large, in some cases over 300MB for one file, so you may want to consider a download manager if not on broadband. These are the full, high quality files, not the lesser quality ones sometimes given away as a free incentive. The README file has additional information, if you want to download and read it first after purchasing. Any problems or questions, feel free to contact us at the email address on your payment receipt. Please note that these are the exact same fantastic videos sold by Nelson Berry on his site, but as a reseller, rather than an affiliate, the licensing terms do not allow us to use the exact same images, or wording. At these low prices, no refunds. Also, please note that we cannot offer resale rights--those are only available when purchasing directly from Nelson Berry, when he offers them.